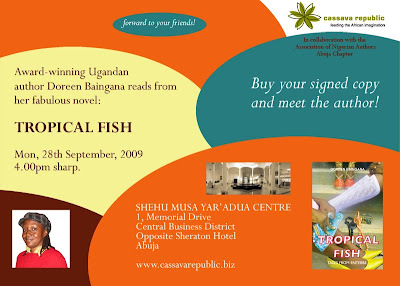 naijablog: Doreen Baingana in Abuja this Monday..
it's great that she is coming to Abuja. Thanks for this info. See you then.